SpinEmpire is a new online casino that came into the market in 2015. The casino offers a wide selection of NetEnt games as well as NetEnt local jackpots. Unfortunately, the casino does not offer any NetEnt network pooled jackpots but players will surely get to experience great action at this casino. Like all other casino that are out there to impress its player, Spin Empire offers a spacious welcome bonus to get you started. Its customer support is only effective via email since the live chat is automated and only supports English and German. Furthermore, the casino offers an exclusive VIP room as well as a loyalty reward program. It offers fast and secure payments as well as unique games. Spin Empire is an online casino operator that is owned and operated by EveryMatrix Ltd and licensed in Malta. The casino hit its debut in 2015 with its software powered by Microgaming, NEtEnt and Play’n Go. 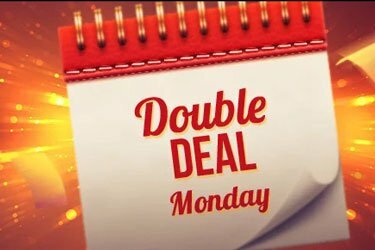 The casino offers spacious bonuses and promotions to all its players and you can easily follow its campaigns by taking a look at its promotion’s calendar. New players will be awarded with free spins upon making your first deposit and these carry low wagering requirements. The free spins are available for play on NetEnt’s exciting slot game titled Starburst. Navigating around the casino is quite easy and offers FAQs to help you get started. The games are available as direct play online and offers a wide selection of NetEnt but the only setback is that it does not offer any live games. The other setback is that the casino makes use of an automated live chat application making its customer support unreliable. However, the casino has not receive any player complaints. I would personally say that the casino is quite generous when it comes to bonuses. Upon registering an account you will receive a no deposit bonus of 20 free spins. When you make your first deposit, you will receive a welcome bonus package of 100 free spins plus 200% match bonus. The 100 free spins are available for play on Starburst and will be credited as 20 free spins every Tuesday. The casino also offers a VIP club that awards players with free spins, Turbo Withdrawals, premium events and gifts, birthday bonus and so much more. Wagering Requirements: The cash bonus and free spins carry a wagering requirement of 30 times and is valid for 31 days. Withdrawal Process: Withdrawals are processed within 1 to 2 banking days. 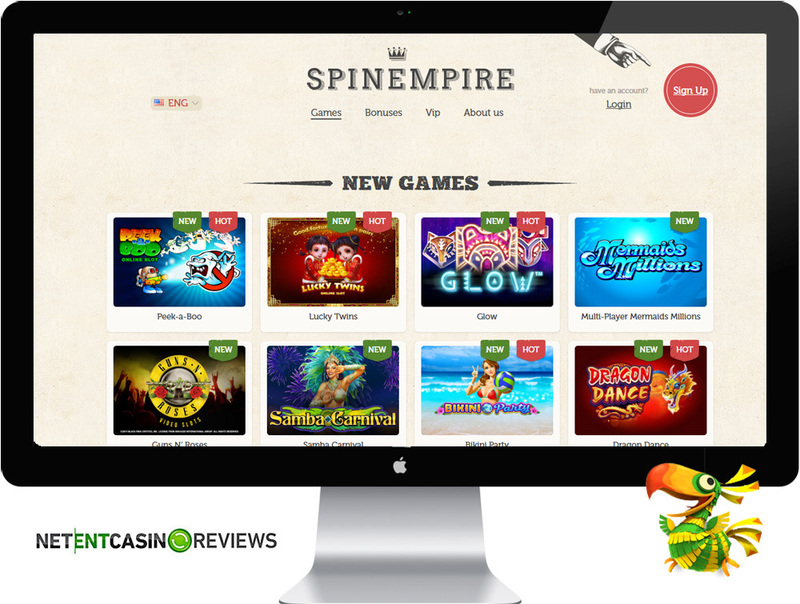 Spin Empire is an online casino powered by three reputable casino gaming developers that include Microgaming, NetEnt and Play’n Go. The casinos gaming library offers a wide selection of games available for play on mobile and desktop. Its gaming library is constantly updated regularly and all its games are available as direct play online. The games are quick to load and players have an option to play the game for real money or fun play. The games are categorized for easy navigation and the categories include “Feature Games”, “Jackpots”, “Classic Slots”, “3D Slots”, “Video Slots”, “Video Poker” and “Other games”. If you are passionate about playing NetEnt games, the casino offers an entire suite of NetEnt games for desktop as well as NetEnt Touch. Unfortunately it does not offers any NetEnt network pooled jackpots like Mega Fortune, Arabian Knights, and Hall of Gods but offers a wide range of NetEnt local jackpots. The casino offers more than 25 mobile games powered by NetEnt and other gaming developers. Its mobile platform supports Android, iOS devices, Tablets and Windows Mobile. Unfortunately the casino does not offer any live dealer games. Spin Empire offers more than 350 casino games powered by all three gaming developers and the majority of games offered come from NetEnt. If you are a NetEnt enthusiast, you will enjoy playing a lots of NetEnt on PC and mobile. The games are quick to load and all games are available as “play for real money” or “fun play” with no download necessary. For NetEnt players, you can also enjoy playing a variety of NetEnt Touch games via your mobile device. The games offered include Starburst, Gonzo’s Quest, Instant Win Card Selector, Hot Hot Volcano, Magic Boxes, European Blackjack Gold, Multi-Hand classic Blackjack, Roulette variations, video poker, classic slots and many more. The local pooled jackpots offered by this casino include Bonus Keno Jackpot, Arabian Nights Jackpot, Caribbean Stud Poker Jackpot, Tiki Wonders Jackpot, Geisha Wonders Jackpot, Cosmic Fortune Jackpot, Mega Joker Jackpot, Icy Wonders Jackpot, and Super Lucky Frog Jackpot.